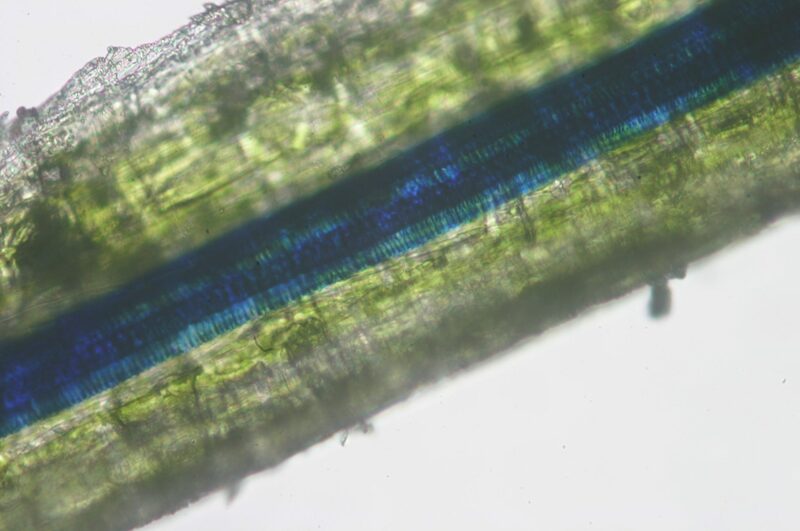 These are images of veins from a celery stalk, taken by Zoe Schnepp using an optical microscope. 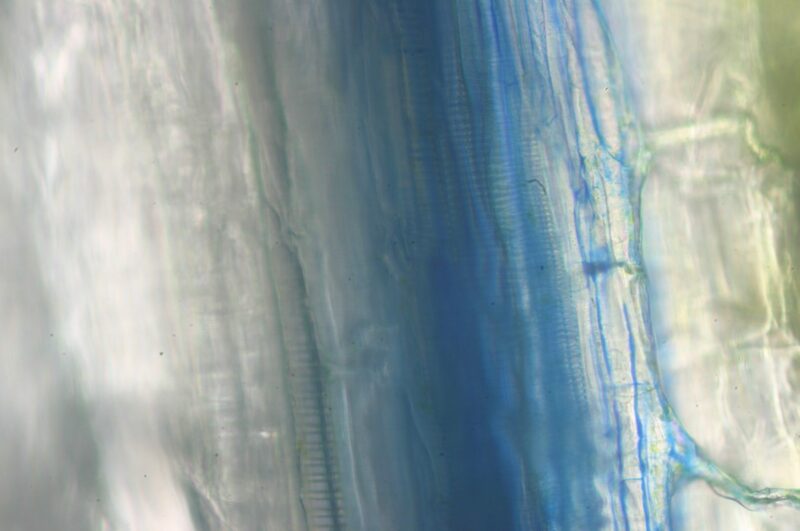 The veins were first stained by standing the celery stalk in blue dye. 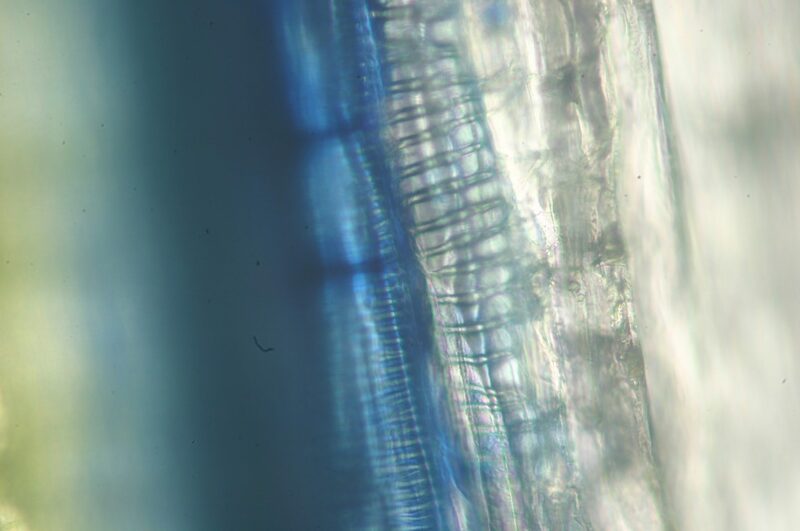 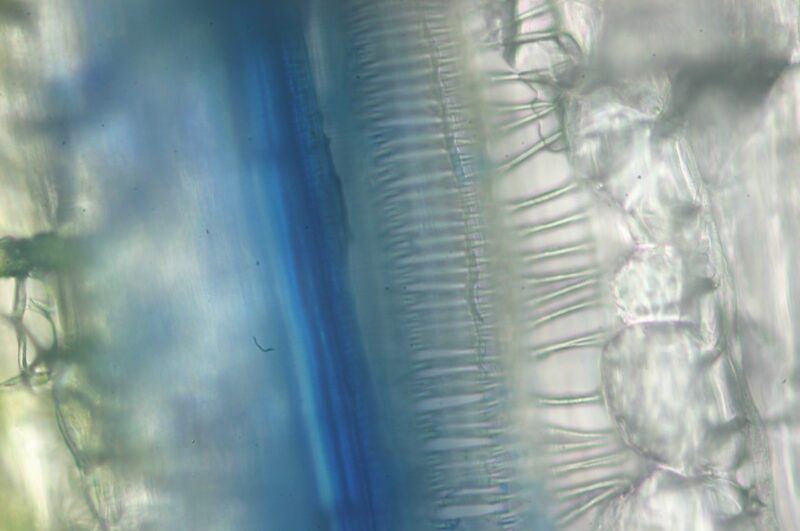 The coil-like structures are part of the walls of the veins (xylem), strengthening them against the large capillary forces of the water inside.